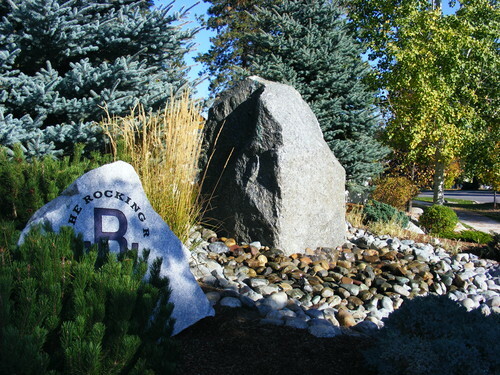 The Rocking R is a pretty, upscale neighborhood located north of Lacy and east of Maple in Hayden, Idaho. Towering pines frame the subdivision, and in some sections they fill the yards. Streets are wide and the landscaping is well manicured. The Rocking R can be described as neat and tidy. There are five water features scattered throughout the neighborhood, and over two miles of 8-foot wide asphalt walking trails that are maintained year-round. Asphalt was used instead of concrete because in winter, when the sun comes out, asphalt thaws quicker and thus is safer to walk on. Rocking R was developed by Ron Rosenberger, a custom home builder. His family bought the property where the Rocking R sits - 65 acres of farm and pasture land - in the early 1950s. It produced hay for his family's dairy and pasture for their horses until he leased it from his parents and continued running cattle. That's where the name of the subdivision comes from - The Rocking R is their family brand. Eventually he divided the property into 156 lots. He sold 35 lots and built on the rest. Rosenberger Construction broke ground and built the first homes in the Rocking R in September of 2002. It is the largest neighborhood in the City of Hayden. Houses in the Rocking R can be described as lodge-style and each home is custom built. 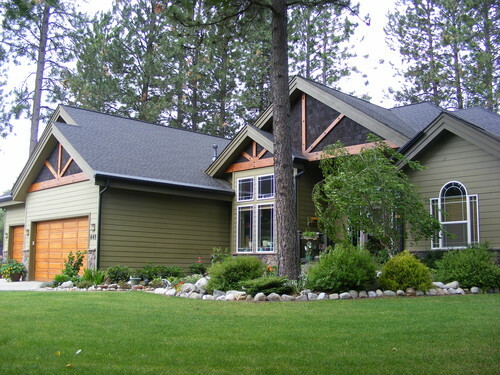 Featuring large timbers, masonry, cedar fascia, solid core wood entry doors, and shingle roofing, it's a style that suits the picturesque scenery of Hayden Lake. Because of the quality of the materials used in these homes and the pride their owners take in maintaining them, it's difficult to tell which are the first houses that were built and which are newer. The lots vary in size from 1/3 of an acre and larger. 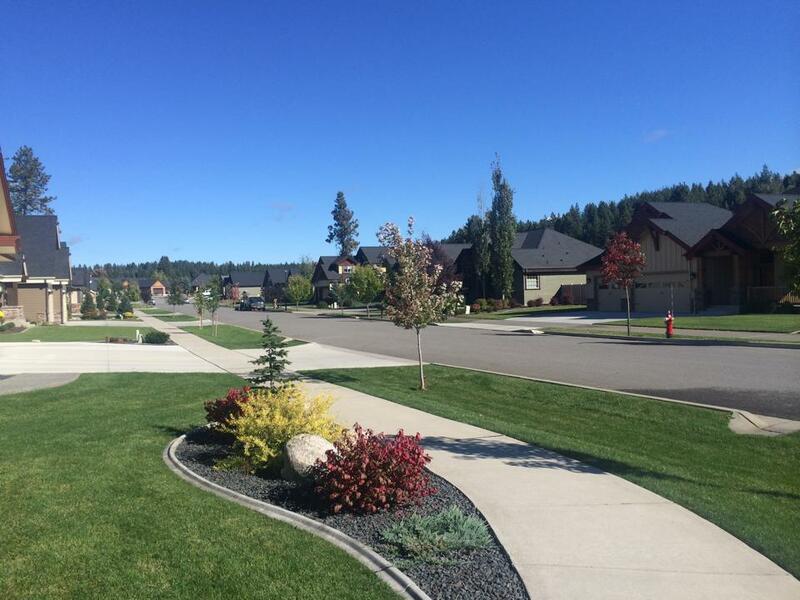 HOA fees cover maintenance of the walking trails and the community landscaping. There's a nice blend of young families with children and more mature couples living in the Rocking R.
The Rocking R has a unique mix of high quality homes on large lots, located very close to two golf courses and public access to Hayden Lake at Honeysuckle Beach. The Rocking R isn't on the beaten path, so there's not much traffic. If you're in this neighborhood, it's because you want to be there. If you're looking for a neighborhood that's conveniently located, yet off the beaten path, with a stable population that appreciates the comfort of a lodge-style home, the Rocking R is for you.